Stroke commonly known as brain attack, is one of the leading cause of death around the world. It is also the most prevalent cause of chronic adult disability. Brain-attack or stroke occurs when there is a sudden stop of blood flow to the brain. There are two types of strokes- Ischemic and Hemorrhagic. An Ischemic stroke (clot inside the brain) occurs when a sudden blockage occurs in the blood vessel supplying the brain. 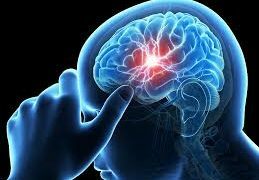 A hemorrhagic stroke (bleeding inside the brain) occurs when a weakened blood vessel ruptures and spills blood into brain tissue. Arms the person may not be able to lift arm or leg because of weakness or numbness. It is also very crucial to pay attention to few other symptoms like – double vision, blurred vision or loss of vision in one eye; confusion and difficulty in understanding what other people are saying; dizziness or a sudden and very severe headache. Stroke is a silent killer and upto 80% of strokes are preventable. The common risk factors include hypertension, diabetes, smoking, and dyslipidemia. Acute treatment is the immediate treatment given when a stroke occurs. 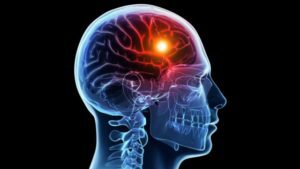 The goal of acute treatment is to keep the amount of brain injury as minimal as possible by quickly restoring blood flow to the part of the brain with the blockage. Clot busting injections called tissue plasminogen activator (tPA) can be given to break the clot. Patients must be treated within the time window of 4.5 hours from symptom onset to be most effective. Mechanical thrombectomy / Thrombus aspiration can be done upto 24 hours from the stroke onset. This therapy can be offered to those patients who are outside of the indicated time window or are ineligible for clot bust injection with large artery occlusion. The incidence of stroke has more than doubled over the last 4 decades. Out of total people having stroke, approximately 63% of them live with some form of permanent disability. Sometimes the hardest part of having a stroke is the feeling that you are alone. Suffering a stroke might cause significant Physical and mental challenge. The impact it might have on Individual and the type of support required will vary from an individual to another. For most stroke survivors, caregivers and families, life will be different. Accepting and adjusting to life after stroke is fundamental to your recovery and well-being. Strong determination and resilience of Stroke survivors and care givers can build on things that Stroke cannot take away. Rehabilitation is about getting back to normal life and living as independent a life as possible. It involves taking an active approach to ensure that your life goes on. This can mean learning new skills or relearning old ones. It may involve adapting to new limitations and post-stroke conditions. Or it can mean finding new social, emotional, and practical support to live your best life post-stroke. In 2018, focus of World Stroke Day campaign is Support to raise the awareness of key issues and needs of stroke survivors and caregivers, to achieve the best possible quality of life. With good care and rehabilitation, there is life after stroke.